Trees are important for many reasons. They offer protection from the summer sun and the winter wind. They provide habitat for many species of animals and give children a place to play. However, trees and utility lines do not mix. Vegetation management is an important aspect of ACE Power’s goal of providing our members with safe, reliable, and affordable energy. We maintain a comprehensive vegetation management program for three reasons. Seven of every ten power outages on ACE Power’s system are the result of trees and other vegetation coming in contact with our lines. These outages are costly and inconvenient. And because our distribution lines are only a part of a larger system, the tree in your yard may create problems for hundreds or even thousands of people. 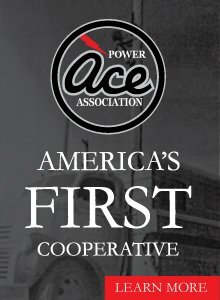 Aside from safety and system reliability, ACE Power has a financial responsibility to our members to weigh the financial impact of our vegetation management program. The return on the money we spend to control vegetation is significant. Our trimming and spraying programs help control line-loss and outage management expenses. These savings translate into lower rates for our members. ACE Power maintains a comprehensive vegetation management program to control growth in proximity of our lines and equipment. Our tree trimmers are in your area once every 3 to 5 years to maintain clearance. National Electric Safety Code (NESC) and Occupational Safety and Health Administration (OSHA) regulations require electric utilities to clear vegetation from power lines as a safety measure for our members and our employees. 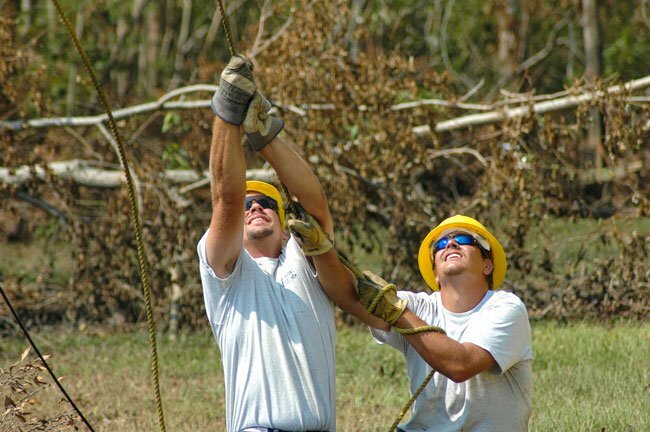 Right-of-Way Maintenance crews are supervised by Foresters who follow the guidelines of experts from the International Society of Arboriculture and the National Arbor Day Foundation. Their work may include pruning or removing trees or removing brush. When trees are pruned , the goal is to remove the tree from the proximity of the line while taking steps to ensure the future health of the tree. This typically involves side pruning, or trimming the branches growing toward the lines on one side of the tree. As a last resort, trees may be removed when that is the only way to leave a property with healthy, viable vegetation. On manicured properties, stump grinding and tree replacement may be available in certain circumstances. ACE right-of-way contract crews utilize chemicals to control the growth of brush below lines. Special care is taken to select EPA approved chemicals. These chemicals are less toxic to humans or pets than table salt. The chemicals remove woody-stemed vegetation and allow natural grasses to flourish. Before you plant, take into account the estimated size of your tree at maturity and ensure that the dripline (outside reach of the branches) is 20 feet away from the powerlines. When planting near a utility meter, make sure it remains accessible to meter readers.